This little beauty is exactly what the title suggests. A salad which consists largely of basil, tomatoes and mozzarella. Whilst it may sound a bit dull or boring it is actually a delicious and fresh salad which is both low in propoints and so, so easy to make. It is also a perfect starter option should you be trying to make a low point three course meal. I’ve included half a tsp of olive oil per person as it just helps to make the whole thing a little more slippery but feel free to leave it out for an even lower point alternative. 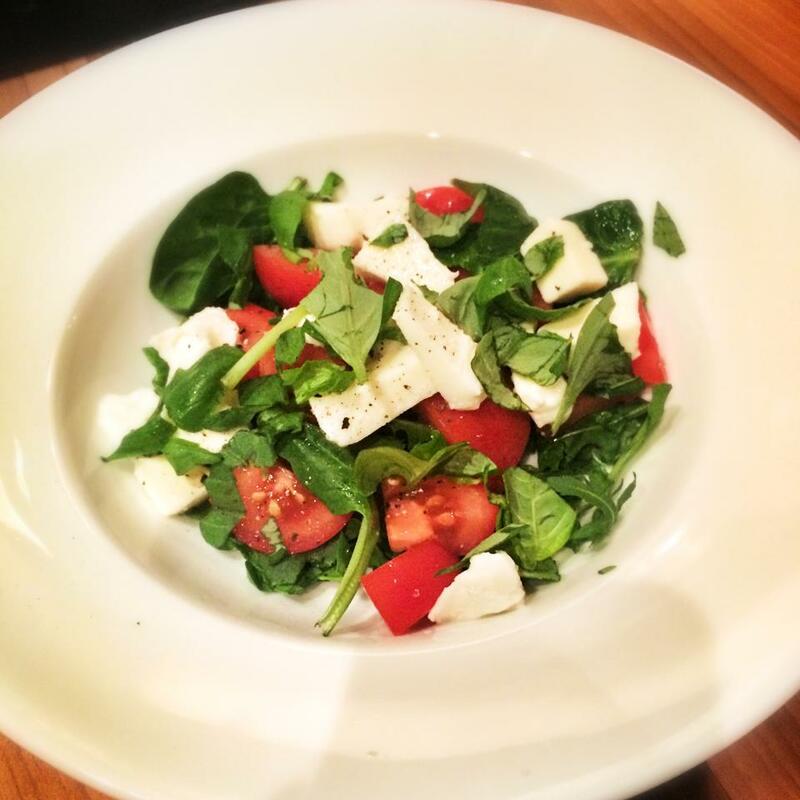 Pop the mozzarella, tomatoes, basil and salad leaves in a large bowl. Pour on the olive oil and add a squirt of the balsamic glaze, season well and toss til well combined. Serve in two big bowls.